Emola Farm’s excavating services has utilized heavy equipment to carry out earth moving and land improvement projects in the Texas area for many years. 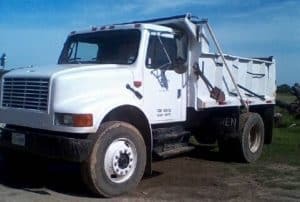 Emola Farm’s excavating services is equipped to do site grading, ditching, drainage, land clearing, add topsoil and fill dirt, wrecking and demolition for residential, commercial, and light industrial projects. Emola Farm’s excavating services provides trenching for water, sewer and power duct lines. Excavating and grading involves much more than simply moving dirt. Finish grade tolerance, compaction, and soil conditions all should be taken into consideration. At Emola Farm Excavating Service, our knowledgeable and experienced staff offers our clients with projects completed on time, inside budget and with the highest high quality. Emola Farm’s excavating services provides personalized solutions to make sure your total satisfaction. 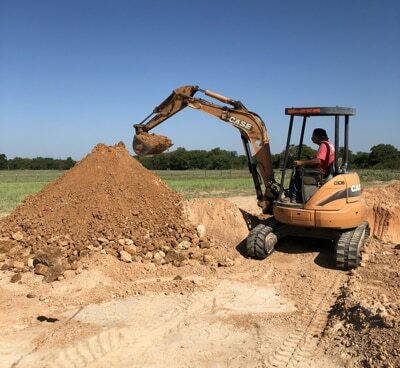 Emola Farm’s excavating services takes great pride in all of our residential and commercial excavation function and are able to assist you in your project. Let us excavate your land to add a picturesque pond or stock tank to your land. Ponds and Stock Tanks can provide fantastic recreation, add much more value to your property, supplied drinking water for your livestock, and also benefit your home for fire protection. If you reside in a rural area, a pond or stock tank can be a great asset to your property by installing a dry hydrant for your fire department. Emola Farm can also offer solutions to repair ponds and stock tanks, like riser/outflow pipe replacement, dam repair and clean-out. For repairs, Emola Farm can grade, apply stone, replace culverts, clean-out ditch lines for correct drainage and compact stone with a roller for remarkable results. Emola Farm can install and repair riding arenas, apply stone dust, sand, rubber mulch, and borders for the arena. We can also clear areas for horse trails and install new pad sites for barns.